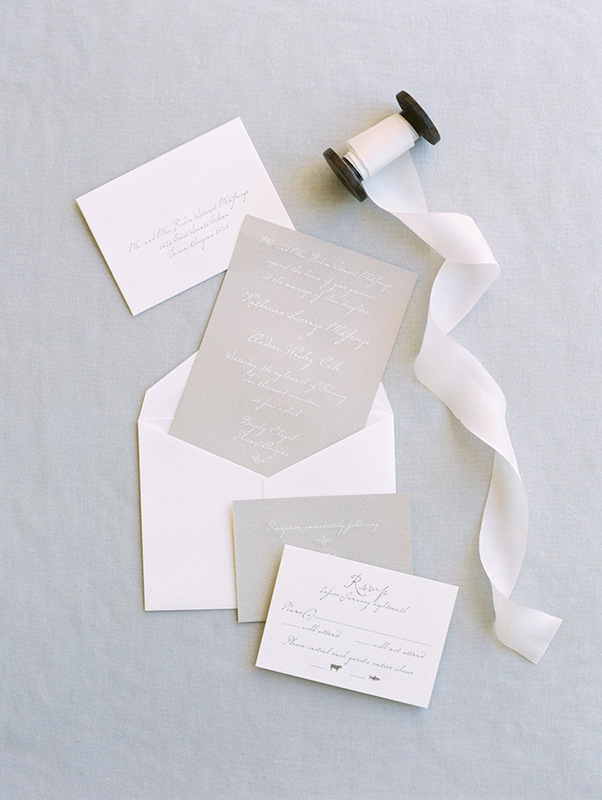 The invitation is one of my favorite details to photograph from each wedding. 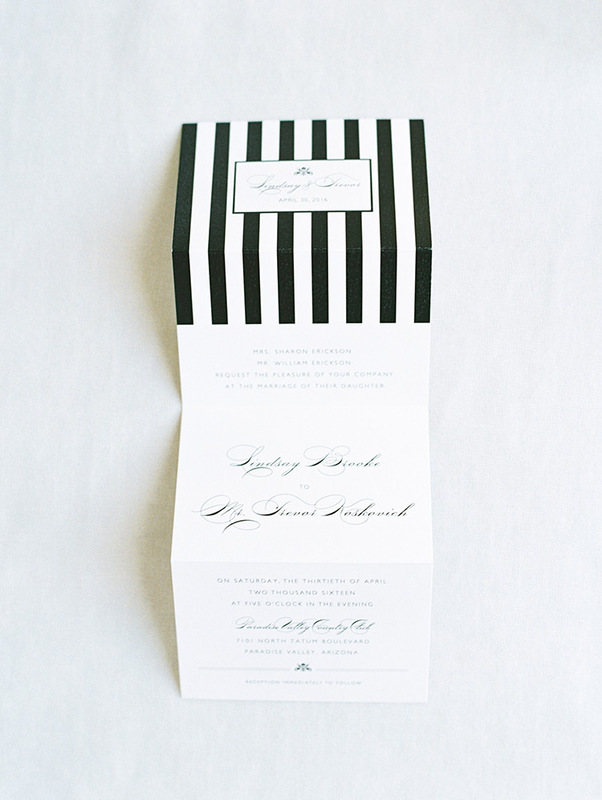 It's the first detail that introduces the wedding to the guests -- teasing all of the amazing fun that is to come. 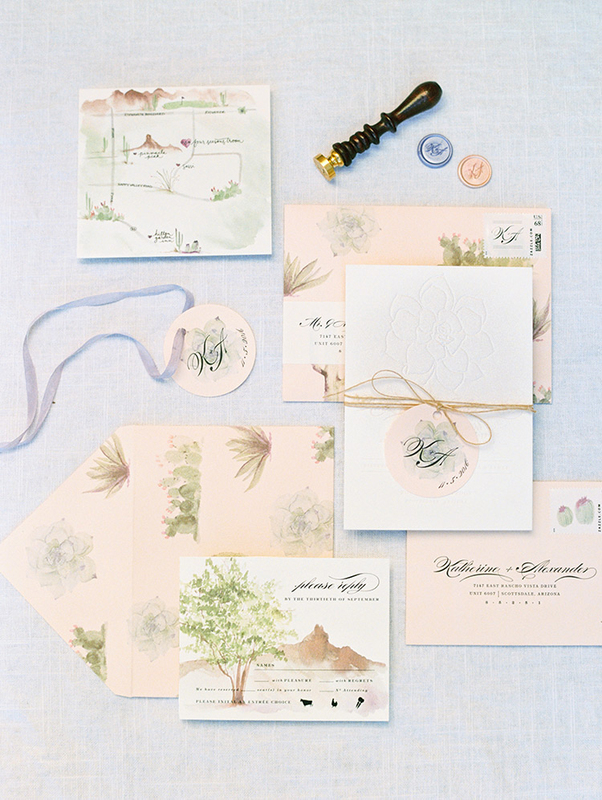 Invitations, when done well, will highlight the style of the couple, the venue, and the theme and colors of the wedding. 1. Duh -- our clients will love it. 2. 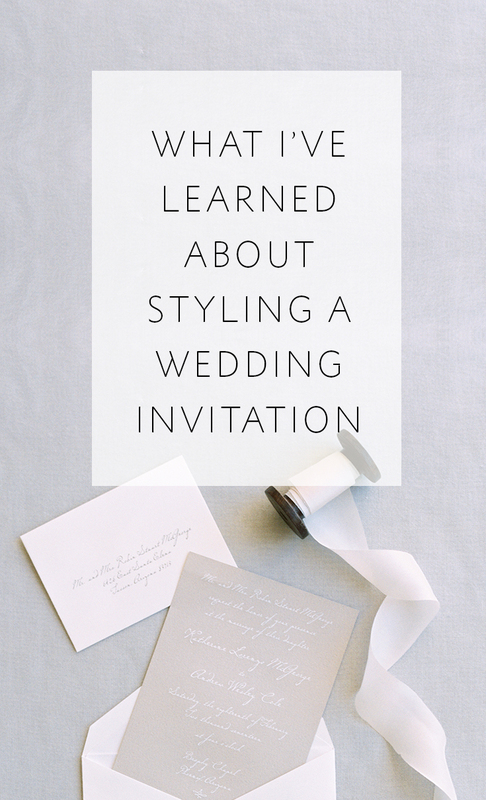 It adds so much to the blog post -- really elevating and highlighting the style of the wedding. 3. It increases the publication value of an event. 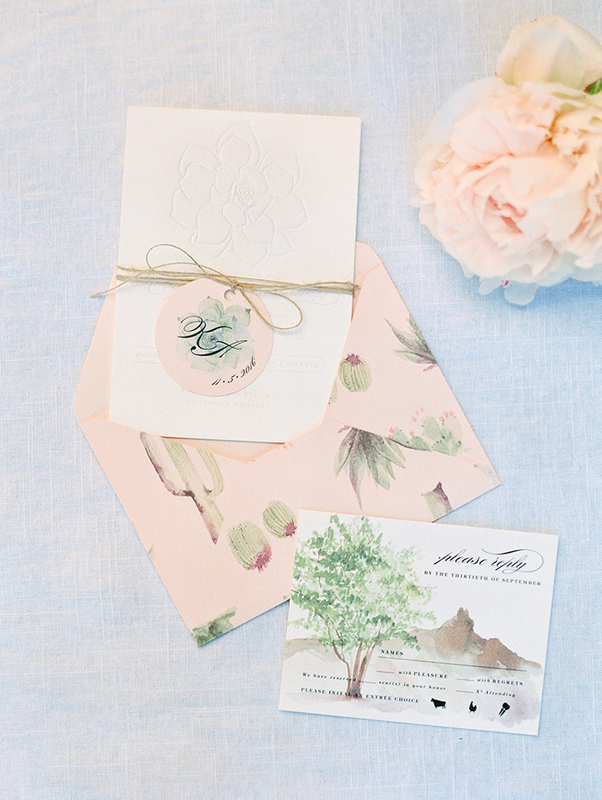 Publications LOVE flat lay images of the invitation. 4. Stationers adore getting great images of their work laid out beautifully and they will love you when you send some their way! 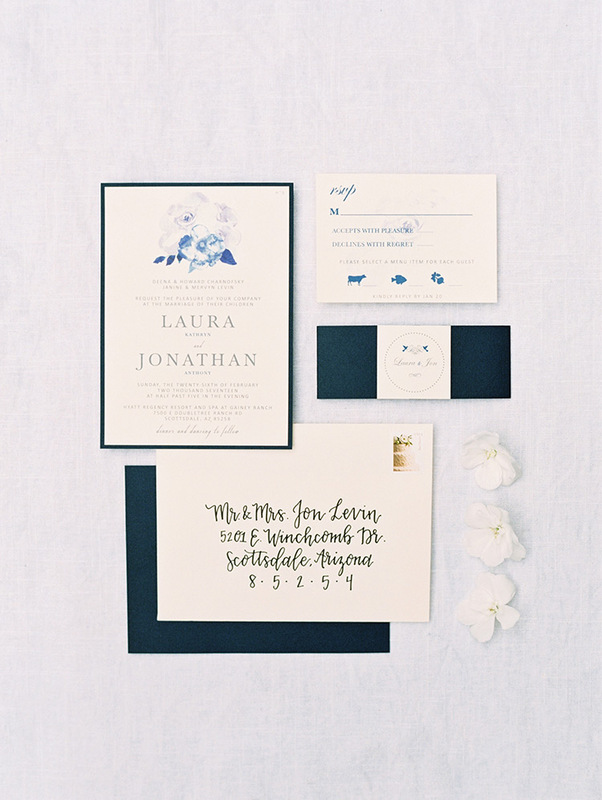 Styling an invitation suite is an art and can take a significant amount of time on a wedding day. And it always seems to take longer than I think it should! 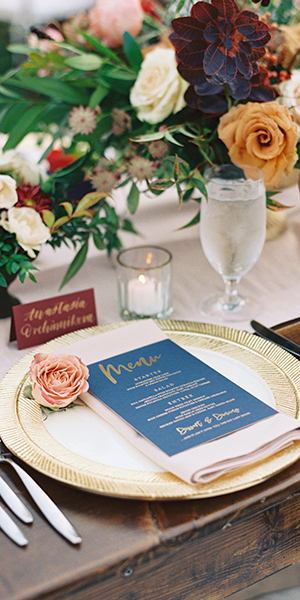 If I'm running low on time on the wedding day, I oftentimes will take the invitation home with me and photograph it the next day when I don't have the time pressure and can spend more time playing and styling. But there IS one thing you can do to make the process quicker: Be prepared and have everything you need on hand. 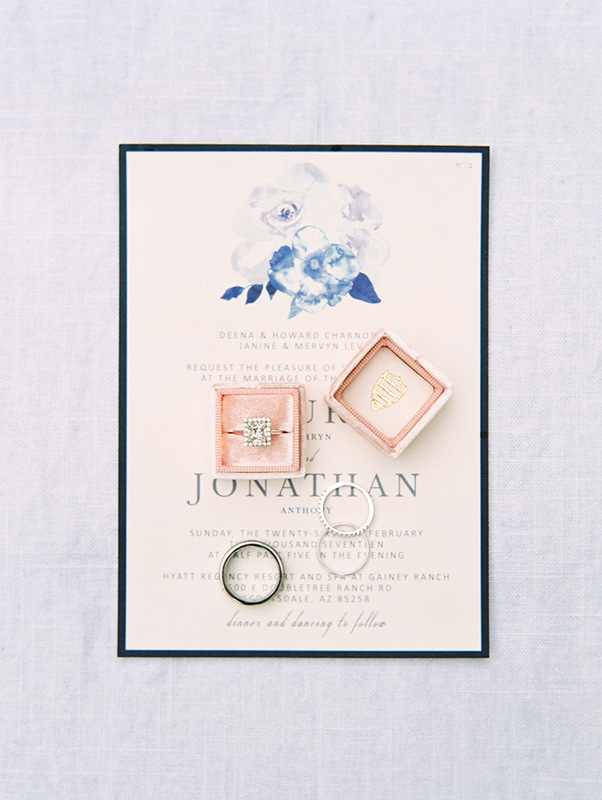 I use my Final Details Questionnaire to educate my brides and ask them to gather a list of things that will be helpful for me on the morning of the wedding. 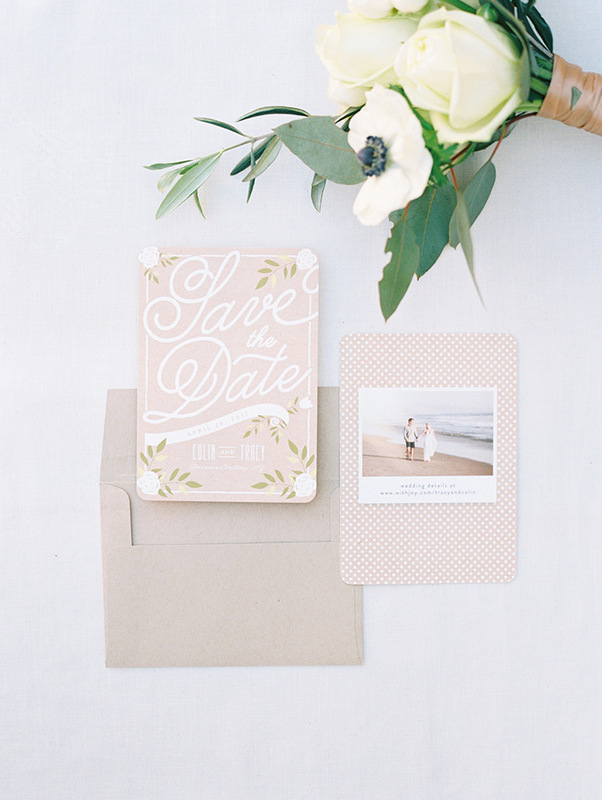 When I show up, the bride or planner typically hands me a little box or bag with all the details and this helps save SO MUCH time. 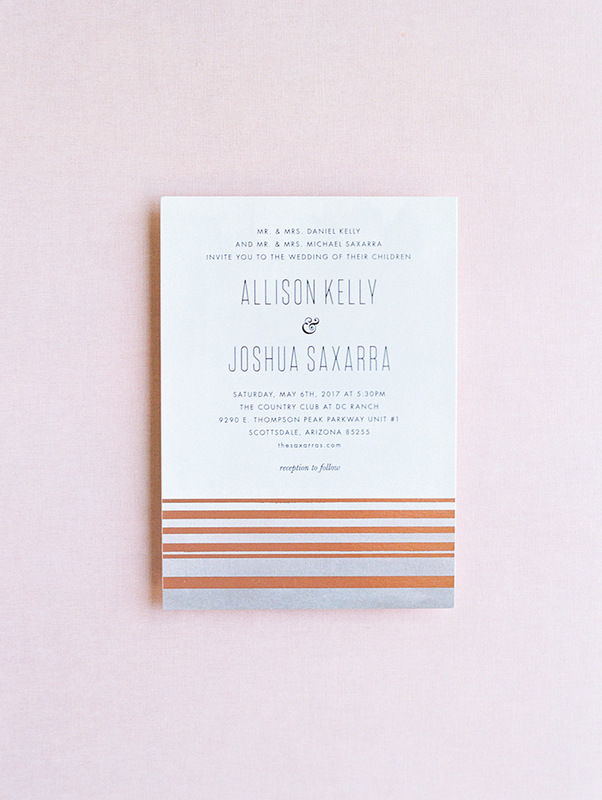 When I do have time to photograph the wedding invitation on the day of the wedding, it's typically something I do fairly promptly upon arrival. I always like to find a quiet, out of the way spot to style the invitation outdoors in the shade (so I have plenty of good even light). If the floor is pretty and goes with the wedding, I will occasionally use it (as I did for the suite pictured below that I shot in the Dominican Republic for Alexis & Murphy's wedding), but typically I select one of my Heirloom Bindery styling boards that compliments the invitation suite and colors of the wedding. These boards are expensive, but there are other options you could consider. For a while before I splurged to purchase mine, I bought some fabric from a fabric store and brought it to each wedding on a hanger. That worked ok, but we had issues with the wind, and it often became wrinkled. So I purchased three two-sided styling boards recently and they have been so handy and great to work with! I usually grab 2-3 of my lens caps and use them to lift certain pieces up off of the backdrop, which adds dimension to the image. 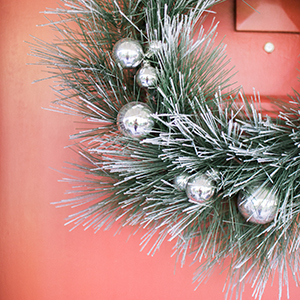 They are the perfect size and height for this -- and the great thing is, we already have them on hand! 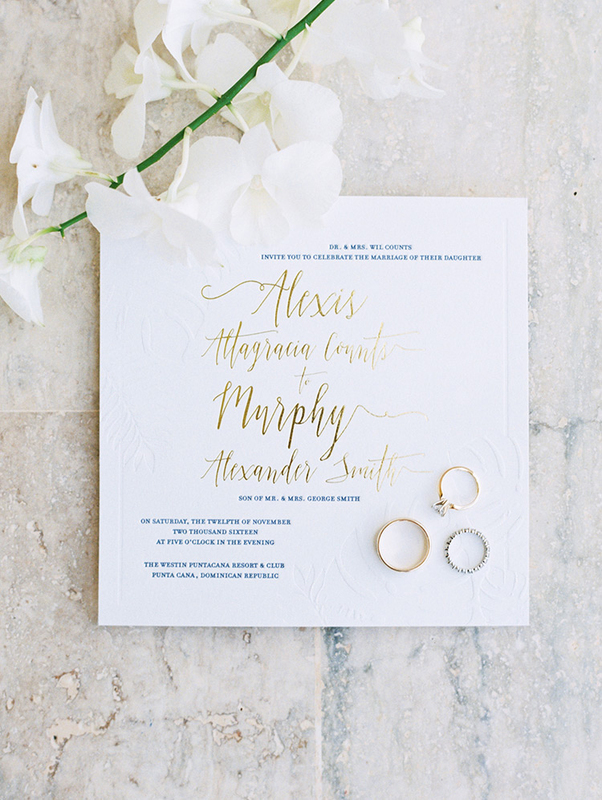 The biggest mistake I see photographers making when it comes to styling a wedding invitation is that they throw WAY too much into one image. 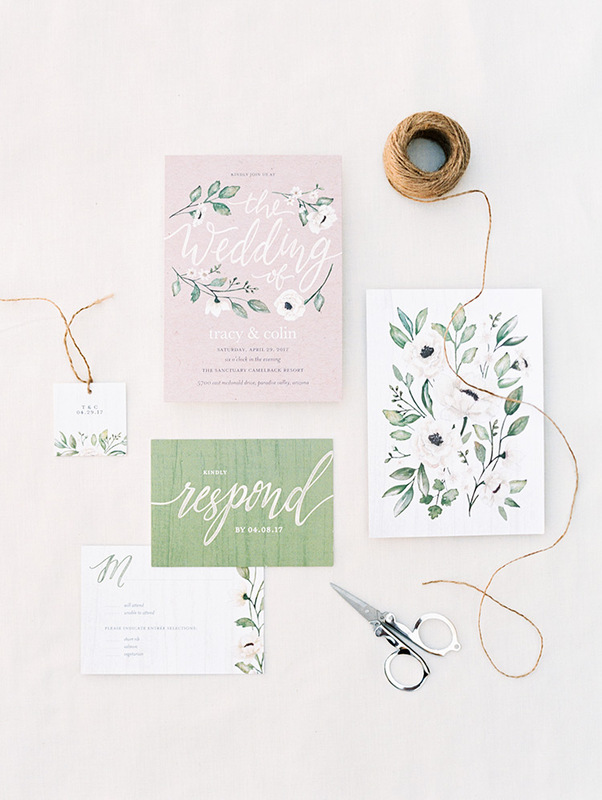 Just because you have 10 pieces in the invitation suite, ribbon, floral clippings, rings, and ten other trinkets, that doesn't mean you should use them all in one photo. The result will be too cluttered. 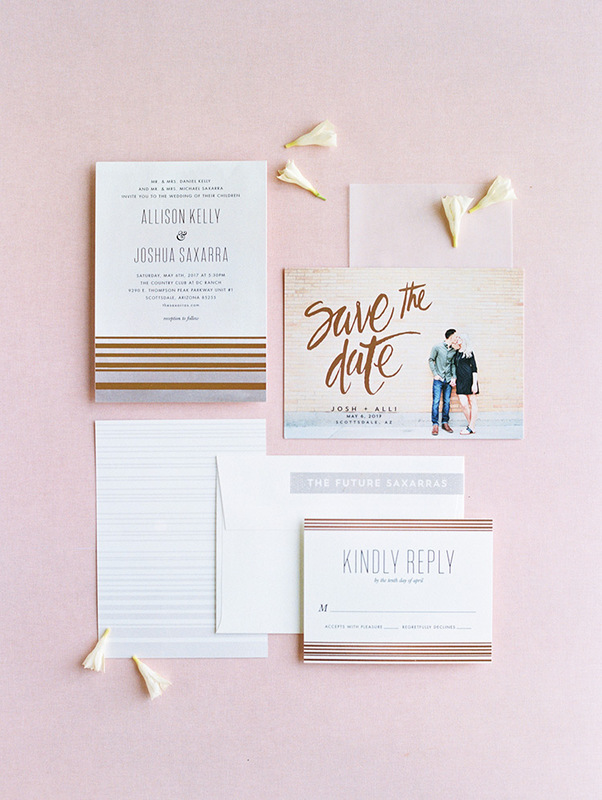 And instead of highlighting the true art of the invitation suite itself, all of the additional items will distract from it. 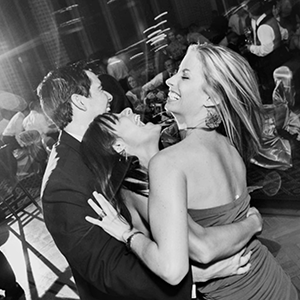 As artists, we want to create each image with a clear focal point. And that goal is the same with the invitation. Make sure there is one spot in the image where you want the viewer's eye to land. If items aren't helping to lead the eye to that point, use restraint and take them out of the layout. This process of styling and exercising restraint can take some time to perfect, but keep working at it and you will love the outcome! 3 -- Style at least two ways. 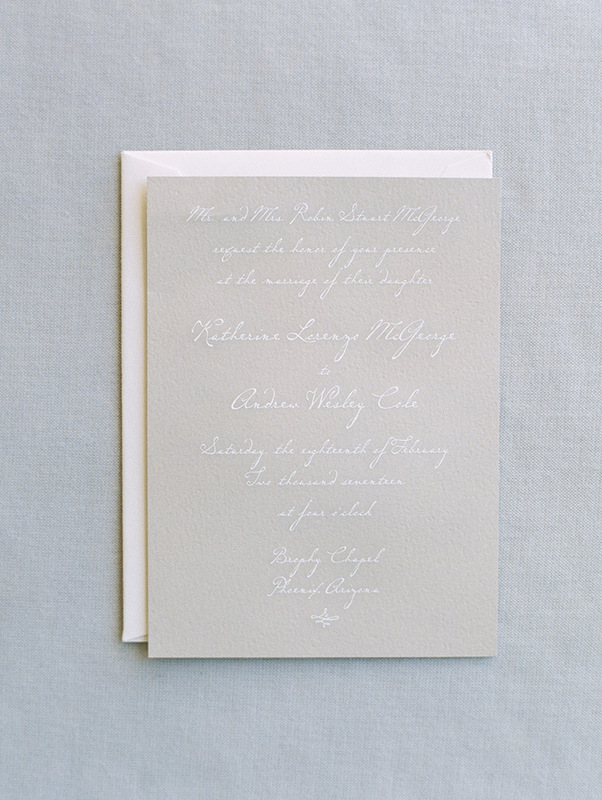 My approach to photographing the invitation is to take one image with the full suite and then one more minimal image that highlights the invitation up close. You can see this practice as you scroll through the examples in this blog post. 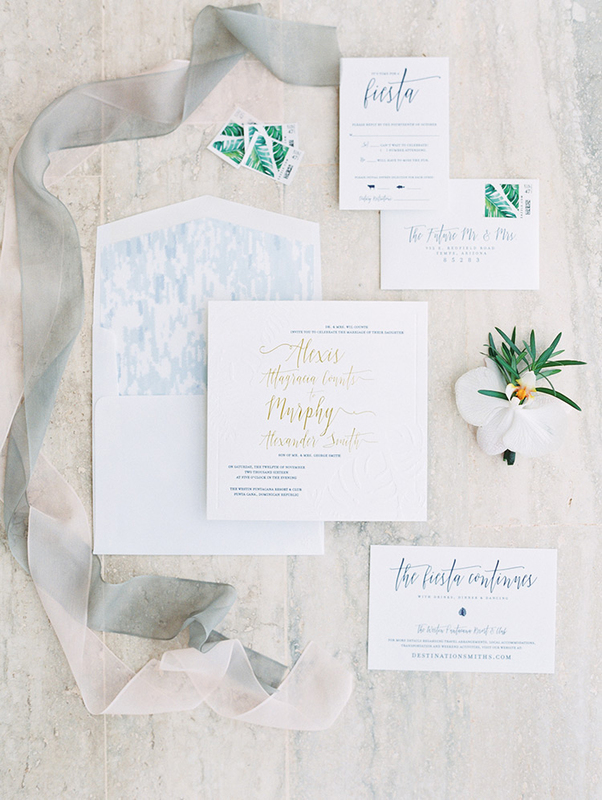 I love a full styled shot of the invitation suite, but there's also something really lovely about photographing just the invitation on its own. And then one final thing I do when I stand up to photograph the invitation once it is styled, is I look through the viewfinder, square myself up and make sure that everything looks straight. Oftentimes the invitation looks straight when I'm not looking through the viewfinder, but then when I do, it looks slightly off. Taking time to square everything up before I push the shutter button is key. 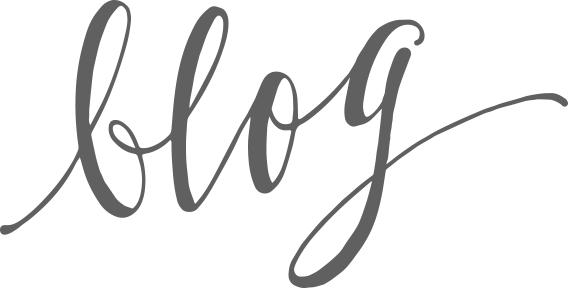 I hope you've found this post helpful! 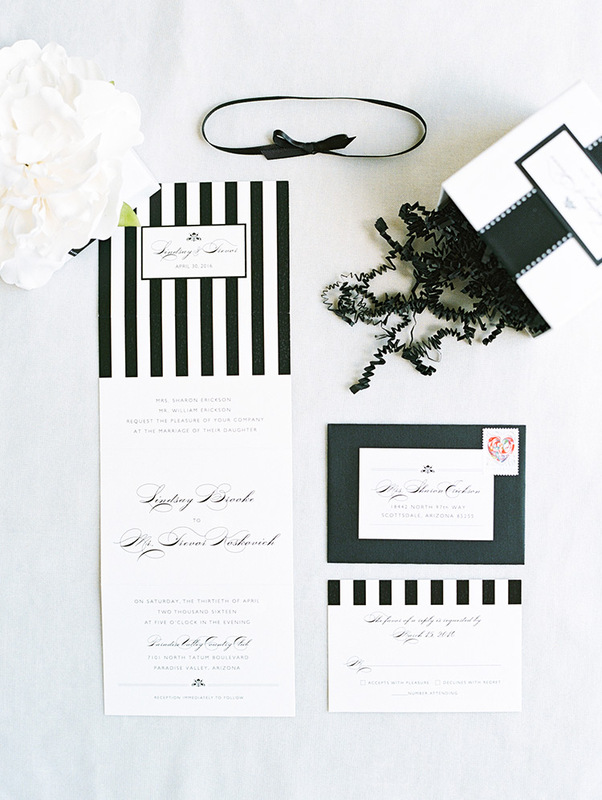 For even more invitation styling inspiration, check out the invitation board on my Pinterest account!